Fresh from concerts at Exeter Phoenix and the Chapel Arts Centre in Bath, kora player Modou Ndiaye and his acclaimed band of musicians are set to tour Dorset. Modou Ndiaye, aka Mamadou Ndiaye Cissokho, brother of Seckou Keita, is a virtuoso kora player, songwriter, drummer and percussionist, and a member of the famous Cissokho family of Griot musicians from Southern Senegal. 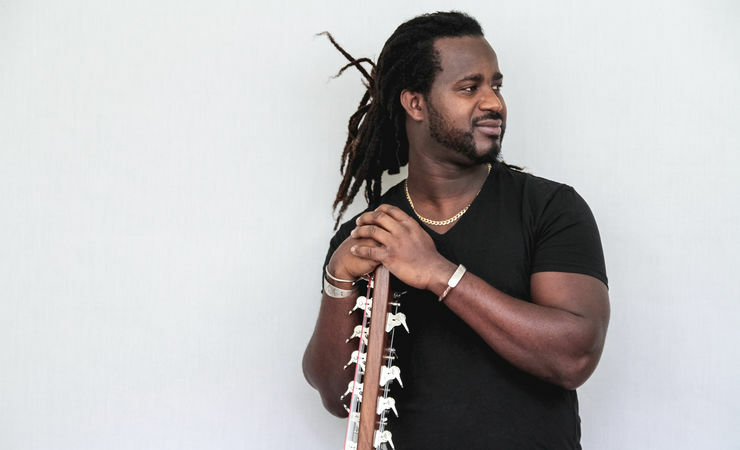 With a superb repertoire of rhythms, Modou fuses together modern and traditional beats, playing a variety of West African instruments including his leading instrument, the mesmerising 22 stringed Kora, a West African harp. Often in demand for both TV and film, Modou’s music can be heard in the soundtrack of the 2006 blockbuster ‘Blood Diamond’, and was also featured on the award-winning Channel 4 TV series ‘Skins’. Modou’s latest album ‘Londo’ unites world-class musicians and blends together an irresistible mix of beautiful harmonies with the gentle yet lively tones of the kora, the vibrant grooves of bass guitar and a variety of African percussion instruments. Modou’s music draws on inspiration from his homeland, his life experiences and current global issues. For these concerts, Modou is joined by Suntou Susso (Gambia) on drums and percussion, Amadou Diagne (Senegal) on percussion and Edd Bateman (UK) on bass guitar. Uniting traditional and modern sounds, this energetic band will leave you invigorated and inspired!